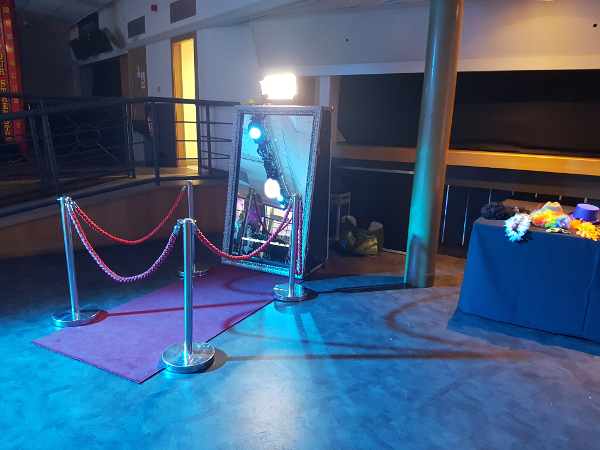 The latest in instantaneous event photography is here in the form of the Magic Selfie Mirror! 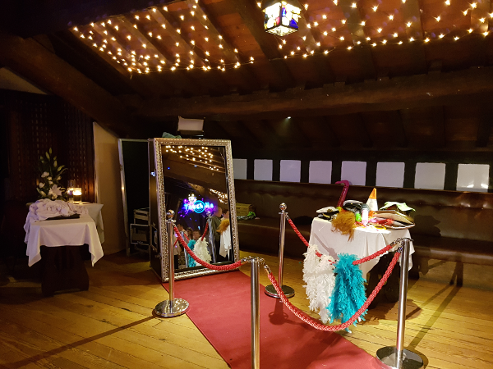 Magic Mirrors are are attractive, engaging and entertaining for your guests and will help elevate you event to the next level. 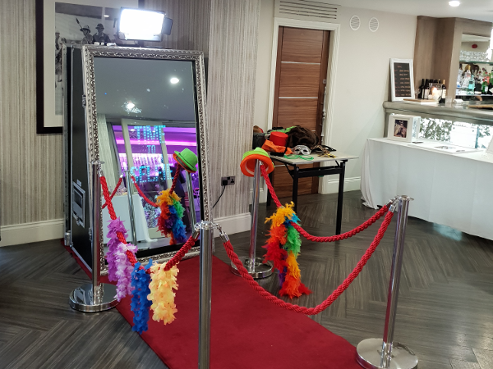 All of our Mirrors are full size meaning that when you stand in front to pose you can see your full reflection all the way down to your shoes and the photo prints are also full length. 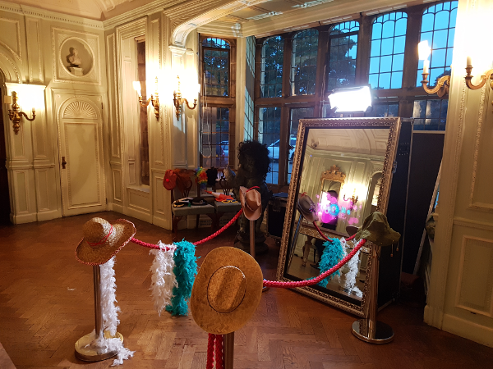 Selfie mirrors are far more classy in there appearance than the older enclosed photobooths means that they can seamlessly integrate into any venue be it a country stately home or contemporary city centre hotel. 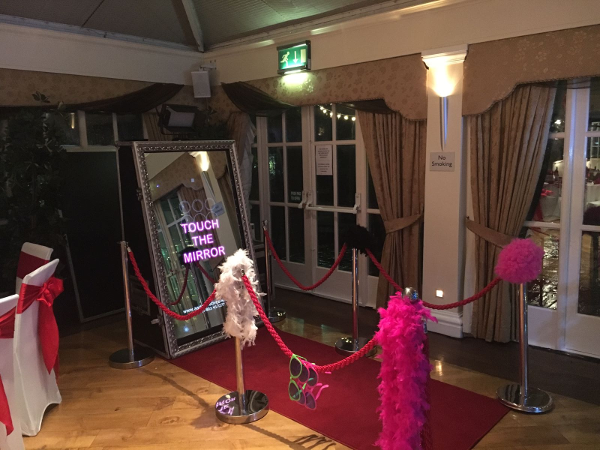 All our Magic Mirrors are feature intuitive software plus an attendant for the length of your event meaning even the most shy and reserved guests will feel comfortable getting involved. 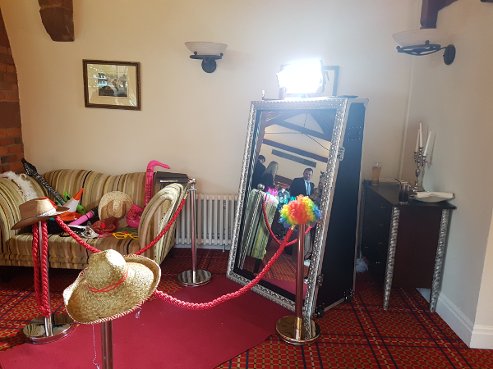 As the Magic Selfie Mirror is not at all enclosed all of your guests can always see what is happening even whilst waiting for their turn and this makes it a very inclusive and sociable experience. 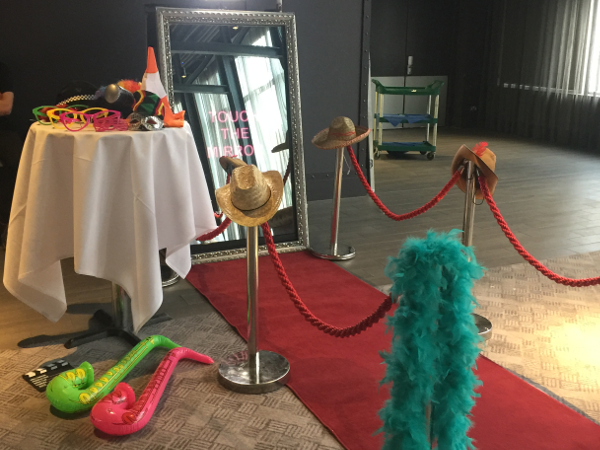 We also provide a full complement of props so after all those nice photos at the start of the evening then guests can go wild with wigs, crazy glasses, giant inflatables, extensive hat collection plus many more. Prints take less than 10 seconds so your guests get a copy there and then as part of their mirror experience and this is customised with your event details, a great memento for weddings, parties, corporate vents and products launches, meaning whenever they see the photo in future they will reminded of your event. We also provide all the digital images completely copyright free to the event organiser at the end of the night so you are free to share and get copies if required. Prices listed below are a guide and may vary depending on venue and location as we may need to add mileage and extra crew to set up. If you are having your party on a first floor or restaurant, please let us know. The Magic Mirror is big and heavy, and one person cannot lift it! Therefore always inform us of any stairs as we will need to send an extra member of staff and don't want to disappoint on the day. 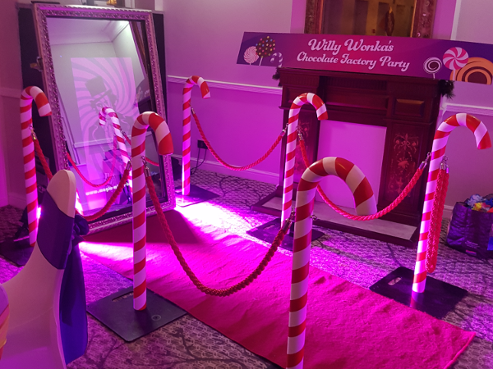 Corporate Events, Christmas Parties or Product Launches please call us on 07803 417277 to check availability and pricing. Bulk Bookings during December will reduce the cost of each event. 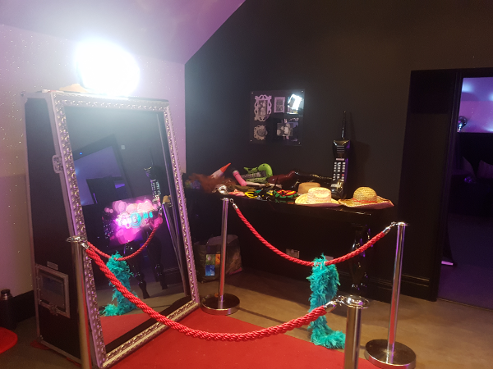 Contact us on the below form to enquire availability on hiring our Magic Selfie Mirror Photo Booth Hire in Cheshire, Liverpool, Wirral, Lancashire and North Wales. 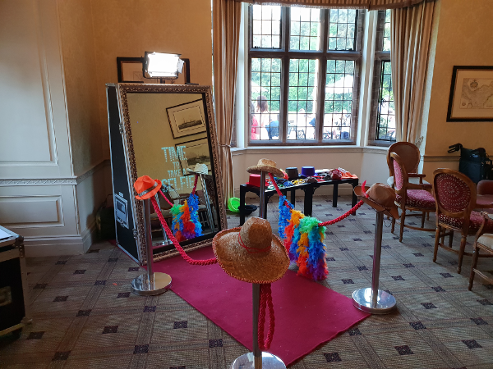 Magic Selfie Mirror for a wedding at Delamere Manor, Cuddington, Cheshire former home of Gary Barlow!